The Centers for Disease Control (CDC) recently launched a web resource that will help companies keep their employees safer when they have to get behind the wheel for work. That’s because motor vehicle accidents are the leading cause of work-related deaths. This statistic does not discriminate based on company or job type. In fact, anyone who works near a vehicle or needs to drive one for work may be at risk. Motor vehicle crashes are nearly double any other work injury, accounting for 1,723 deaths in 2014. 58 percent of motor vehicle deaths at work are not caused by employees who have vehicle operated jobs (such as truck, taxi, or bus drivers). 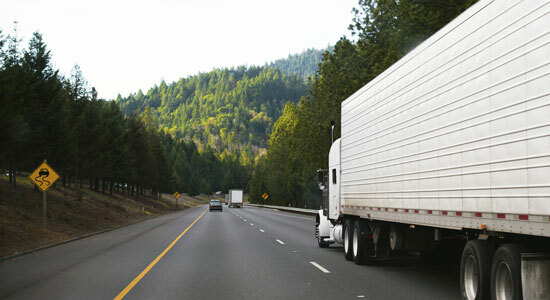 Long-haul truck drivers have a one in three chance of being in a serious accident during their careers. No human is perfect and accidents happen, but educating yourself is the first step in reducing the chances. How Can Companies Protect Their Employees? If you are a business owner, you may wonder how you can improve your employees’ safety on the road. By educating employees and rewarding them for their safety efforts, many companies have seen a drastic drop in workplace accidents. At Edgar Snyder & Associates, our workers’ compensation attorneys have seen the devastation caused by on-the-job vehicle crashes. If you or a loved one has been involved in a work-related accident, don’t delay. Call us today and we will help you get the money you deserve.